The purpose of this assessment is to understand your background. This includes an assessment of the current prosthetic limb fit and function (if applicable) but will also explore the prosthetic care and rehabilitation experienced to date. We will take your medical history, conduct a gait assessment (walking) and assess your residual limb. The meeting is also an opportunity to establish goals and talk about issues, barriers and concerns that help to build a good picture of what you require. It would help us greatly in making an assessment if you could record what social, sporting and day-to-day activities you took part in prior to the amputation, what you can do now and what you would like to be able to do again. We will discuss future prognosis in relation to your amputation and the different prosthetic (artificial limb) options available to you. It is difficult to let you know in advance how long the initial consultation will take, as we will spend as much time as you need to ensure both client and clinician have all the information necessary to plan your future prosthetic therapy. We suggest you allow between one and two hours for your initial consultation. We recommend that you wear something comfortable and loose fitting and request that you bring your current prosthesis with you. slipped off and used to make a replica of your residual limb. The plaster replica of your limb is used to make a transparent socket (diagnostic socket) using a thermoplastic material. The diagnostic or check socket, which is slipped over your limb, enables your prosthetist to see ‘inside’ the prosthesis to check it is a good fit and that pressure, weight bearing and alignment are optimised. Your clinician can make changes to the check socket at this stage if required. There are several materials, which may be used to manufacture your socket (fibre-glass, carbon-fibre or plastic). The final stage of manufacturing the prosthesis involves connecting the prosthetic components to the socket. The choice of components will depend upon your level of amputation, your activity level, your vocation and your financial resources. When you return for your first fitting, your clinician will assess the fit of your prosthesis and analyses your gait. It is essential that your prosthesis is correctly aligned to ensure optimum comfort and function. You will then complete a trial period for several days to ensure that you are happy with your prosthesis. After completing this trial you return the prosthesis to OPS where it is fitted with a cosmetic cover. The external appearance of your prosthesis is a personal choice. Some clients prefer no cover with the components showing whilst others prefer a more life-like cosmetic cover. With either option, you have choices about the look of your prosthesis. Without a cosmesis, clients who choose to have no cover on their prosthesis, have the option of customizing their socket. There is a wide range of patterns or designs that can be used to customize the look of your socket. With a cosmesis, clients who prefer a cover, start with a soft foam base that is shaped as closely as possible to their sound leg. Clients may then choose one of the following covers to be placed over the soft foam. The highly customized silicone cover is extremely life-like and includes remarkable details such as hair and finger/toe nails. The advantage of these covers is their realistic appearance. The disadvantage is that they are heavy, quite fragile and can be damaged easily. Custom silicone cosmetic covers are also expensive. More recently, we have seen the availability of 3D printed cosmetic covers such as those provided by UNYQ or ALLELES. As the shape and volume of your residual limb will change over time, it is very important that you see your prosthetist on a regular basis (every 3 to 6 months), to ensure the socket is still fitting properly. 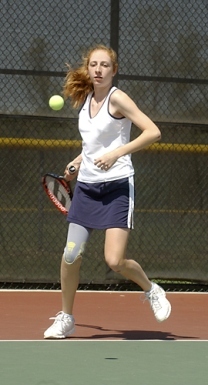 Sometimes it is necessary for the prosthetist to make adjustments to your prosthesis to accommodate these changes. However, if the changes are too significant a new socket may be required. Your prosthetic limb needs to be well maintained in order to keep your residual limb healthy and to avoid costly replacement expenses. Use your prosthesis only under normal conditions. Most prostheses are not designed for use in water. Most are not meant for high impact sports or activities. Avoid chemicals that can damage or alter the makeup of the prosthesis. Use mild soap and either a soft cloth or a sponge. You can use an old toothbrush to get to points that cannot be reached by your cloth or sponge. Dry the inside with a towel. Take care of your limb socks. Wash them by hand with water and a mild soap. Do not use detergent, and make sure that all soap has been removed, otherwise they can irritate your skin. Care for your silicone socks and liners. Make sure to stay away from ink from pens, newspaper print and any dyes that could make a permanent stain on the silicone. Follow your manufacturer’s care instructions for clean because this will differ between items. Inspect any attachments on a regular basis to look for wear and tear, and consult with your prosthetist if you see any areas that look worn and need care. It is important to keep the skin on the surface of your residual limb clean to reduce the risk of the skin becoming irritated or infected. Wash your limb at least once a day (more frequently in hot weather) with a mild antibacterial soap and warm water, and dry it carefully. If you regularly take baths, do not leave your limb submerged in water for long periods of time. The water will soften the skin on the limb, making it more vulnerable to injury. If you think you may be developing a skin infection, contact your prosthetist or rehabilitation consultant for advice.